Solid, old school chocolate with ‘great melting’. Currently ranked number ONE in a poll of the 41 best chocolate bars in Ireland. Given that today is the start of Lent many Irish people will be embarking on one last gorge of chocolate eating before giving it up for 40 days. But what bar should you choose for this last soirée? It’s time to decide on the best bar in Ireland [voting at link below]! A Valentine For Left-Brained Lovers Anyone Fancy A Salted Caramel, Peanut And Chocolate Tart? Do You Like Chocolate? Here, Who Ate My D12? Posted in Misc and tagged chocolate at 12:17 pm on February 18, 2015 by Broadsheet. Eh, did Lent not begin today there, scobes? I don’t start Lent on the first day of Lent like some sort of pleb. I get a sneaky lock-in at the newsagent so I can really do some damage. What mark on my head? Oh that’s chocolate. Where’s yours? My god the readers of ball.ie are peasants ! 41 chocolate bars and not a mention of green & blacks. which is really Cadburys. You uninformed peasant. This has to be the most juvenile post ever. Used to be a truly great bar. It’s gone to the dogs in recent years. that might be a case of being a wee bit misty eyed for days past…. right you are.chocolate should contain 50% cacao solids to be called chocolate. 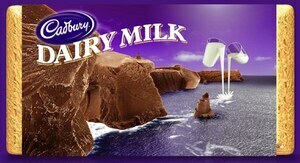 Dairy Milk et al have about 20% . If your giving up stuff for Lent or doing something then you would recognise that today Ash Wednesday is a day of fast and abstinence so gorging on chocolate wont be done. This post should have been put up yesterday. Balls.ie – that says it all…. I’ll have a Topic please. And for desert with tea, a purple Snack…. Topic is king in Clamperland! I’ll second the Topic choice, but I’d go purple snack (eating chocolate off it first) in second place followed by a Fry’s Chocolate Cream. Don’t mind them. They were just jealous. Haven’t seen them in an age…. You used to be able to get them up North. Them and the French letters for yer ma. Before Dame Menopause came a courtin, of course. i’m on cadbury’s strike after their unforgivable crimes against the creme egg. they’ve pretty much ruined easter for me AND it’s my birthday on saturday. cadbury B@STARDS! I’ll have a bar of sanctimonious idolatry of a make believe cosmic space jew with magic powers who’s Dad’s a pathetic vindictive little maggot with a constant need for attention please. Isn’t balls.ie supposed to be a sports website? Tho its gone so rubbish lately i haven’t been on it. I know. Apparently the make-your-own Trocaire boxes are still around. The nuns used to call them ‘black baby boxes’. yes giving money to the poor….bad times. what an idiot. Does it matter who is collecting the money for them? I meant bad times calling them ‘black baby boxes’ ye clown. Patronising and ignorant, no?